Tea to the English is really a picnic indoors - what a wonderful idea! We all need to have more picnics inside at this time of the year. 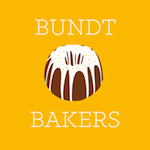 This month the Bread Bakers are playing catch up, with the idea that you can bake from any of the themes you missed. I went way back to June of 2017, which was actually before I started baking with the Bread Bakers, and the theme was to bake with nut meals and nut flours. I decided to make friands. These little cakes are very popular in Australia and are available at many coffee shops. 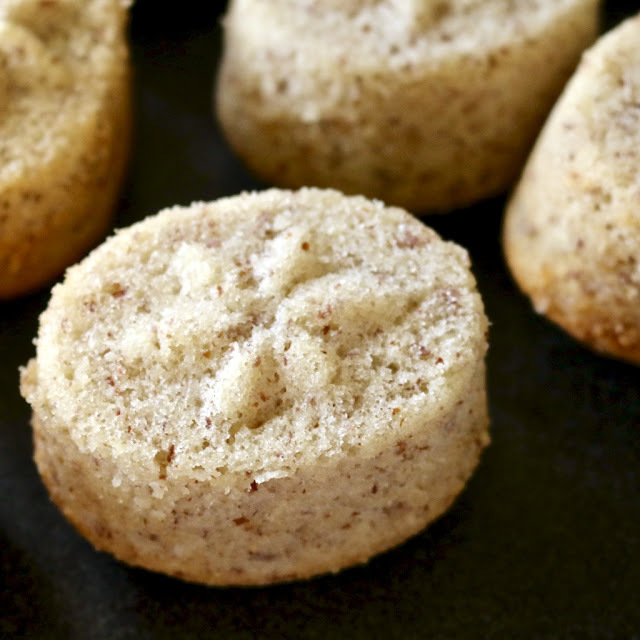 They are somewhat related to financiers, except most of the time they are flavored, and they are made from egg whites, butter, almond meal/flour and powdered sugar. 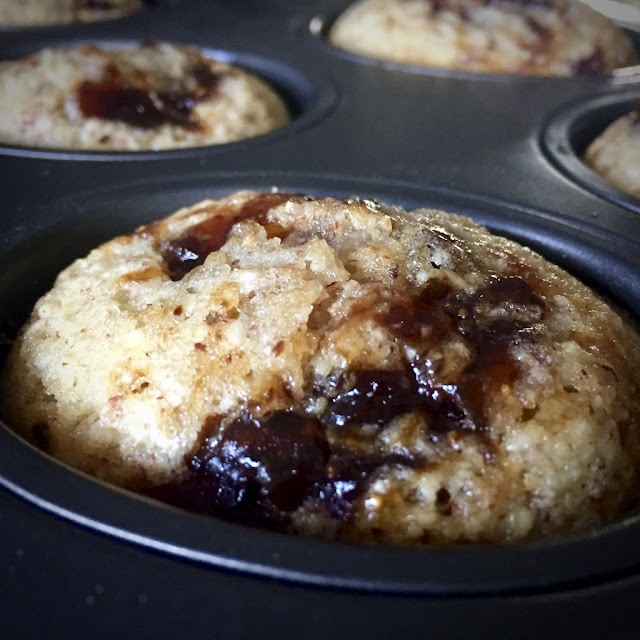 You can bake them in a muffin tin, but they are more authentic when they are baked in small moulds, typically oval in shape. My tin came from Australia and it looks just like a muffin tin except each of the holes is an oval shape. These little cakes are so delicious and easy to make - you don't even need to break out any sort of mixer. And talk about disappearing in record time. Mine had fig jam in them, but there are endless varieties that you can make. I do believe that I should be doing a friand of the week until I run out of ideas. If you would like to know more about the Bread Bakers and see what the other bakers made for this months Catch Up theme please scroll down below the recipe. Preheat oven to 180°C (350℉). Brush a 12-hole friand pan with a little melted butter, then dust with a little flour, shaking out excess. Divide batter among friand holes, filling to two-thirds full. Place one teaspoon of fig jam on the top of the batter and, using a cake tester or small knife, gently swirl in the jam. 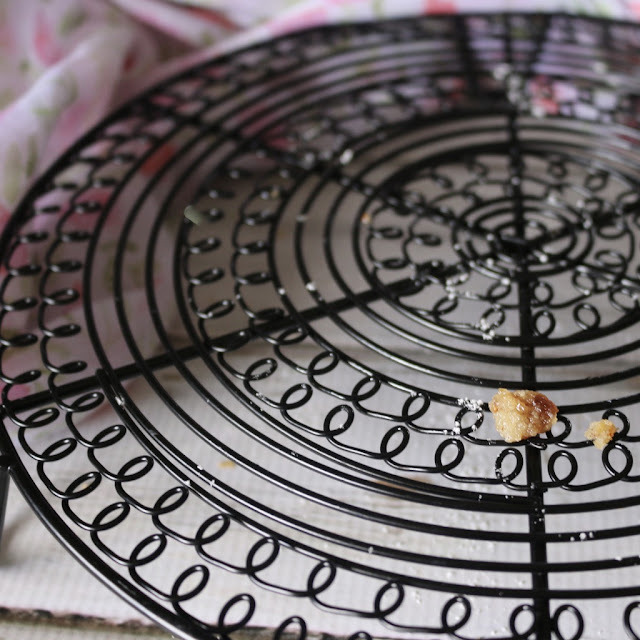 Bake for 18-20 minutes until golden and a skewer inserted into the centre comes out clean. 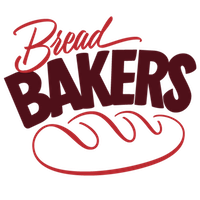 This month, we are catching up on old Bread Bakers themes that we have missed out on. Our host of the month is Pavani at Cook's Hideout. What pretty little cakes! I loved that theme of nut flours. So many interesting recipes to choose from. I had no idea what friands were until I saw your post. Now I am tempted to try these. Such a simple recipe and the little cakes look so soft, fluffy and delicious. I have never heard of these cute little muffins but I do love the idea of an indoor picnic!! that empty plate says it all - These must have been gobbled up in short order! Now I need a friand pan, Felice. Yours look wonderful! I especially like the fig jam, one of my favorites! 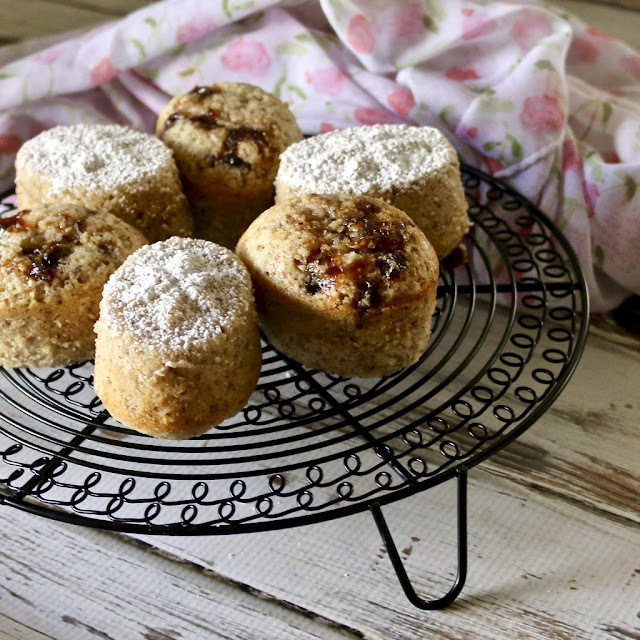 Figs are a great choice for these friands! Delicious! 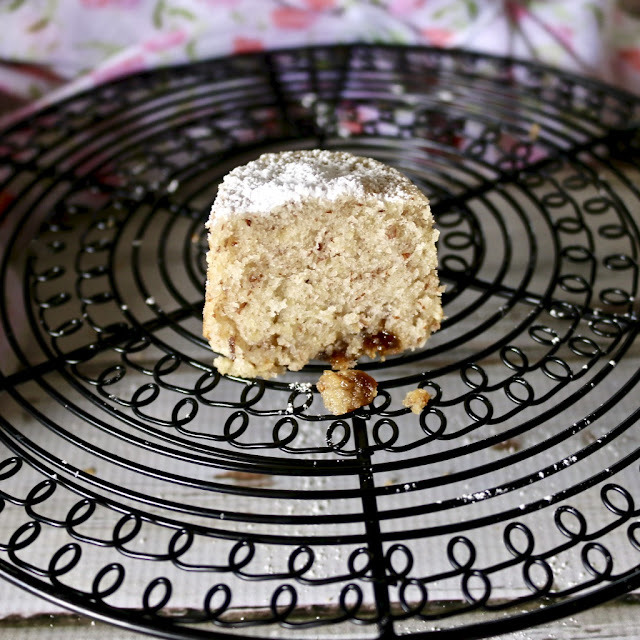 Hello Felice, your mini cakes look so light, nutty and delicious. Love that floral imprint on the friands. Booknarked for sure! Felice - these look straight out of a pattiserie .. very tempting too ! I have never made these, but I bet my kids would love these for an after-school snack.. bookmarkign to try.. just wondering if I can use individual cups to bake these..